Renee and I decided to do a mini quilt swap a few months ago. Quilty friends are the best, right? 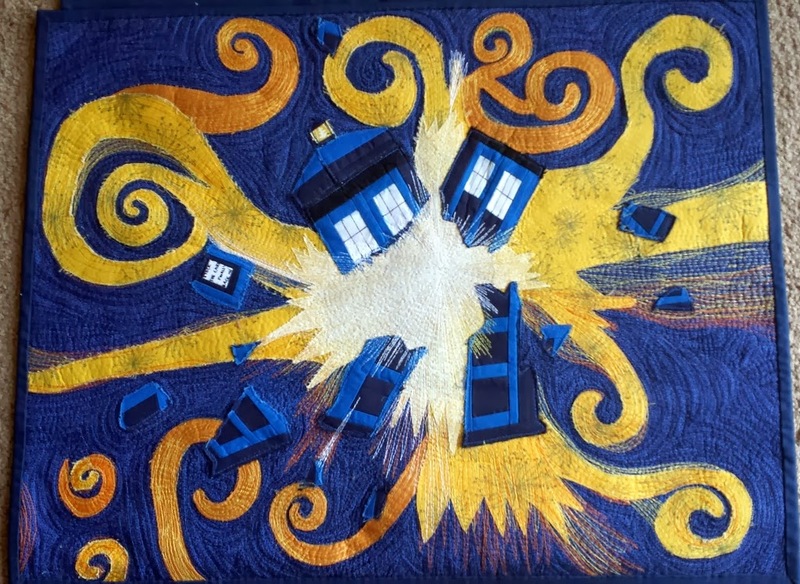 I KNEW hers would be spectacular; she is the queen of FMQ and Doctor Who quilts (Example A and Example B). Knowing my own love of DW and of purple, she made me this double-sided beauty. I literally gasped and kind of took a million little breaths. 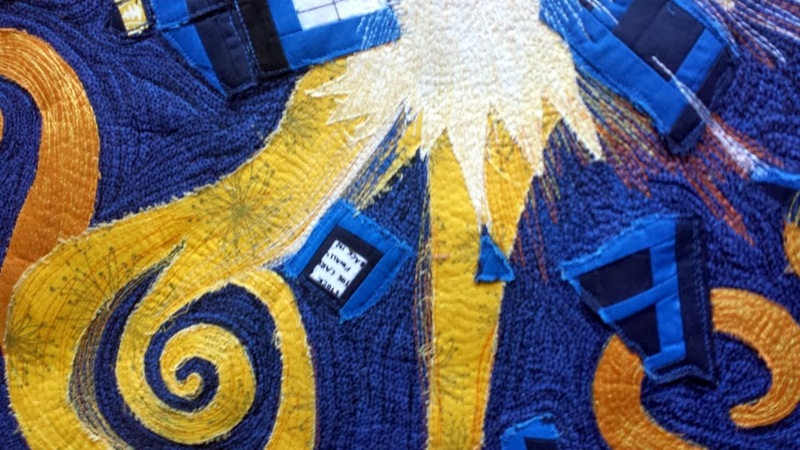 "The Pandorica Opens" is the name of the quilt; it's from Series 5 of the new Doctor Who in a Van Gogh-based episode. Look at that amazing applique and thread painting... and is it bad I knew that yellow fabric was from Comma? The husband loves it too! Now, just to decide where to hang it and on what side... it's absolutely breath-taking in person. I had to share. 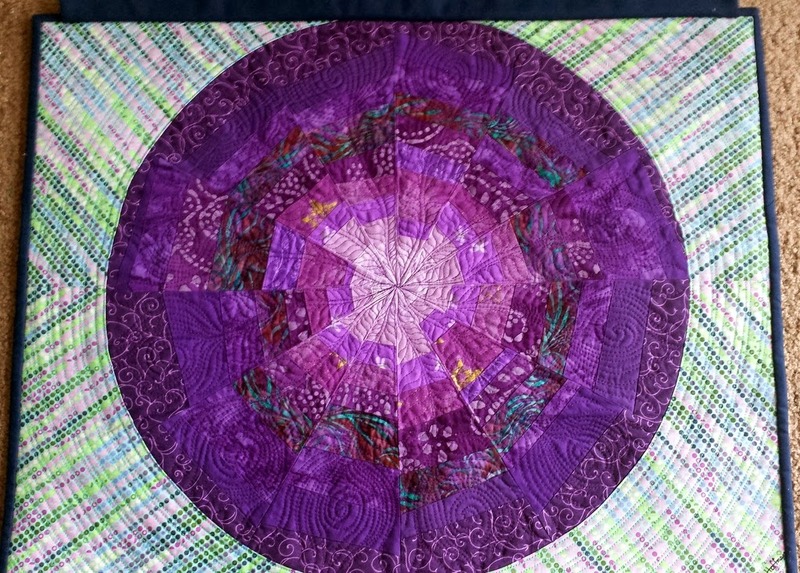 Check out Renee's posts so far on this quilt: here, here, and here. I hope she loves mine like I love hers - Renee, you should be getting it early next week (I'm sending it Friday)! :D Which means I'll be sharing it here early next week. THANK YOU for making my week! Wow, this is crazy awesome! She totally nailed it! Gah. Just gah and other oooo-y noises. Wow - I missed this when you posted. Just wow! Sounds like she knows you well!